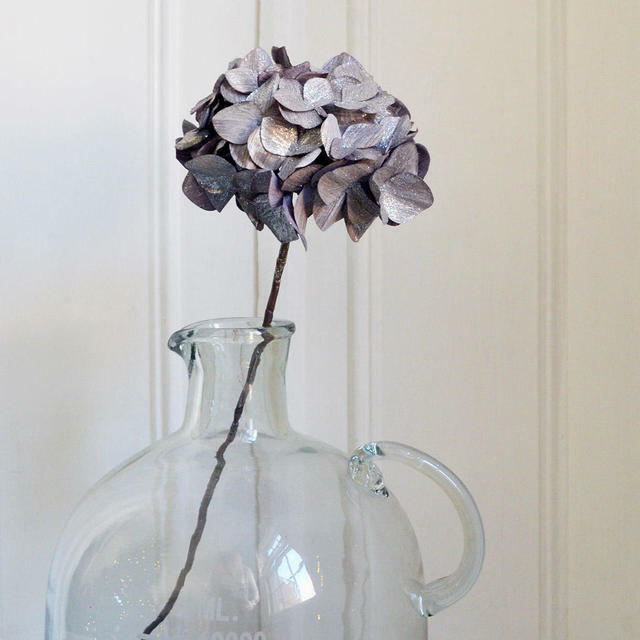 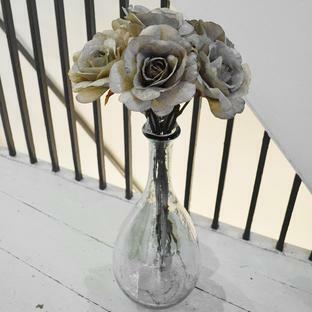 Use a couple of sprays in a vase, or mix with other natural branches to create a stunning floral display. 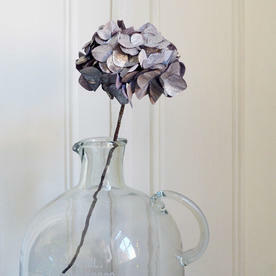 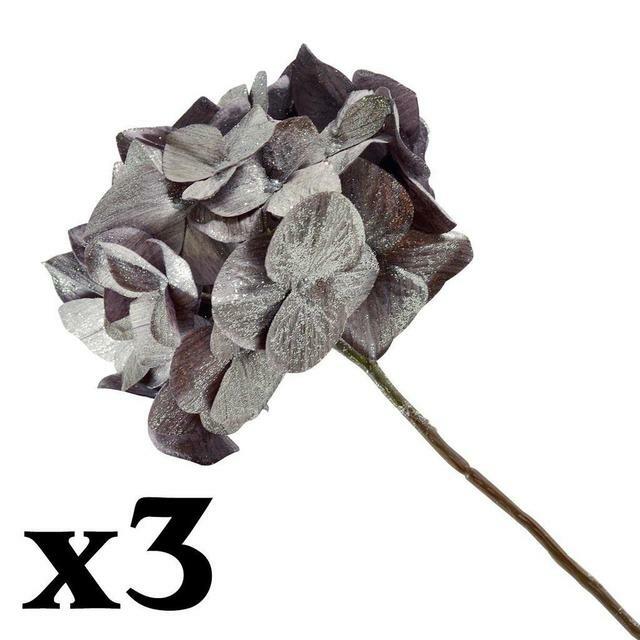 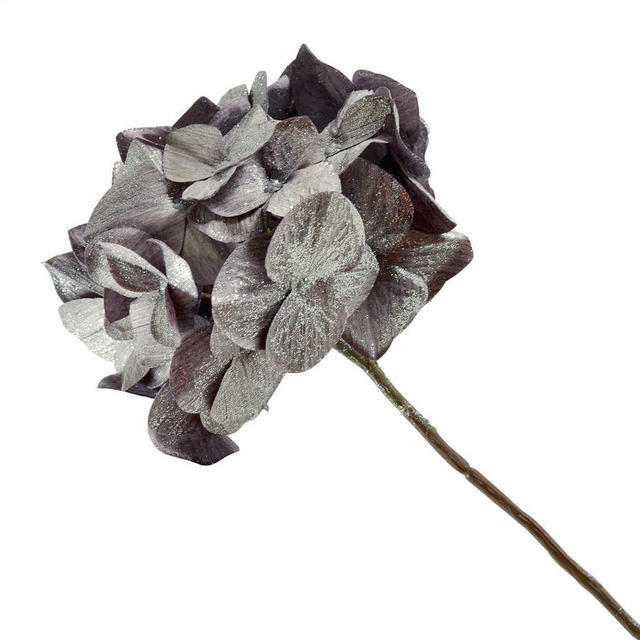 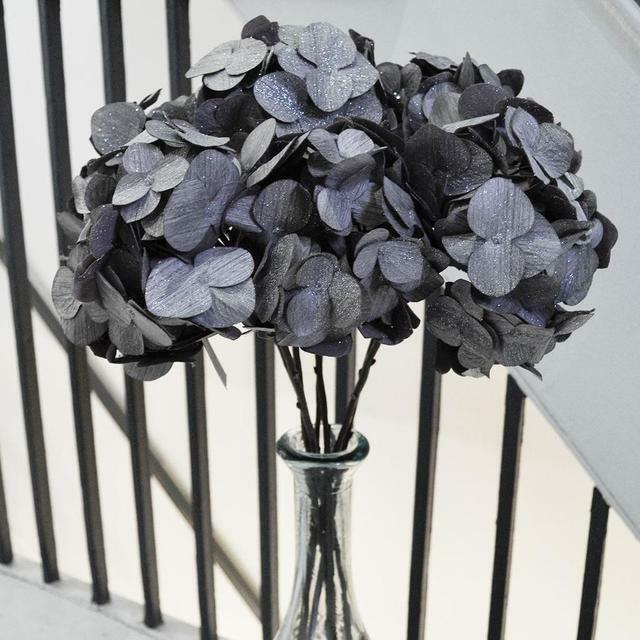 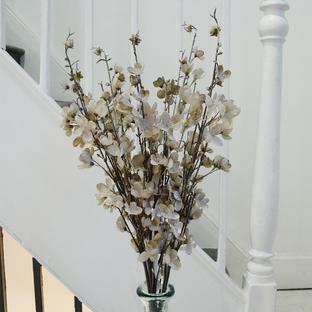 Faux silk hydrangea stem with flitter detailing. Colour is a soft grey lavender.